Jamie Filipovic is a Partner in the Chicago O’Hagan Meyer’s office. She divides her practice between labor employment law, biometric privacy counseling and class actions and professional liability. Ms. Filipovic is also an NFL agent. Ms. Filipovic provides a full spectrum of labor and employment-related services to her employer-clientele. 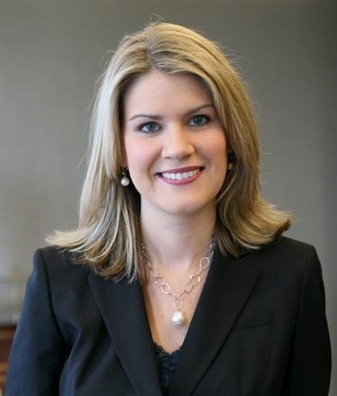 She successfully represents employers nationwide in a broad range of high stakes litigation matters in federal and state courts, as well as administrative agencies such as the EEOC, the Department of Labor and the Illinois Department of Human Rights in matters involving discrimination, sexual harassment, retaliation, FLSA wage and hour disputes. She regularly defends corporations before the NLRB and defends and guides management through union negotiations and disputes. She also offers counseling on various labor and employment issues, performs internal investigations and advises clients regarding compliance, drafting of employee handbooks, policies and personnel materials. Ms. Filipovic leads the biometric privacy practice group, which provides clients with Biometric Information Privacy Act (“BIPA”) and tech related client counseling and compliance and BIPA class action defense. Ms. Filipovic has been recognized as a top Illinois litigator. She has been named by Illinois Super Lawyers as an Illinois “Rising Star” for the past six years (only 2.5% of lawyers are selected, named through per nominations and independent research). Ms. Filipovic is also a certified NFL Agent representing NFL football players in a full range of services, including contract negotiations, endorsements, public relations and marketing. 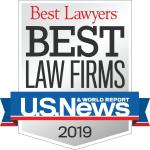 Ms. Filipovic is admitted to practice in the States of Illinois and Wisconsin, the Northern District of Illinois and the Northern District of Texas and has been admitted pro hac vice in various state courts throughout the United States. Ms. Filipovic earned her Bachelor of Arts degree from The University of Michigan, Ann Arbor. She received her Juris Doctor from the DePaul University School of Law, Chicago, where she was an Editor for the DePaul University College of Law Journal of Healthcare Law and the DePaul Business Law Journal. Honored as Rising Star, Illinois Super Lawyers, for years 2012, 2013, 2014, 2015 and 2016, as Published in Chicago Magazine (2012, 2013, 2014, 2015, 2016 editions). Awarded as Premier 100 Trial Attorneys for Illinois by The American Academy of Trial Attorneys (AATA), (2015). Presenter – “Application Fraud: An Illinois Case Study”, National Society of Professional Investigators (NSPII) (June 25, 2009). Chicago, IL. Presenter – “The Tripartite Relationship: Navigating the tight rope around the Bermuda Triangle When Defending EPL Claims”, Professional Liability Network (PLAN) (October 10, 2012). Chicago, IL. Presenter – Cyber Liability: Where are we Now and Where are we Going, Professional Liability Network (PLAN) (October 2015). Atlanta, GA.
Presenter – Northwestern University Law School, Annual Sports Law Society Symposium, “How to Make it,” NFL Agent Panelist, (October 2015). Chicago, IL. Presenter – The Knowledge Group, “Developments in the Final Rule of the FLSA” (November 2017). Presenter – “Sexual Harassment Prevention” (June 2018).